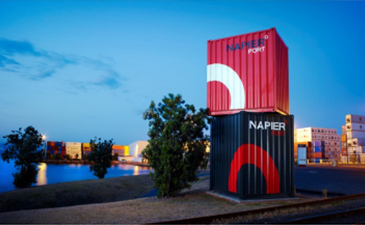 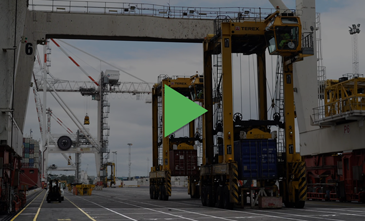 Learn the unique skills required to work in and around the world’s largest container ships. 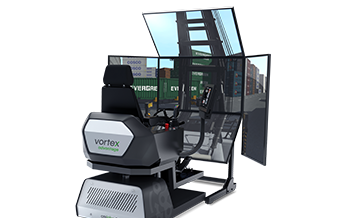 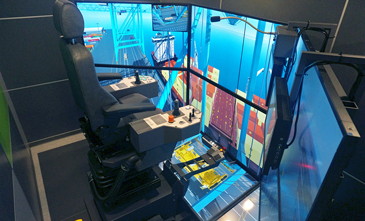 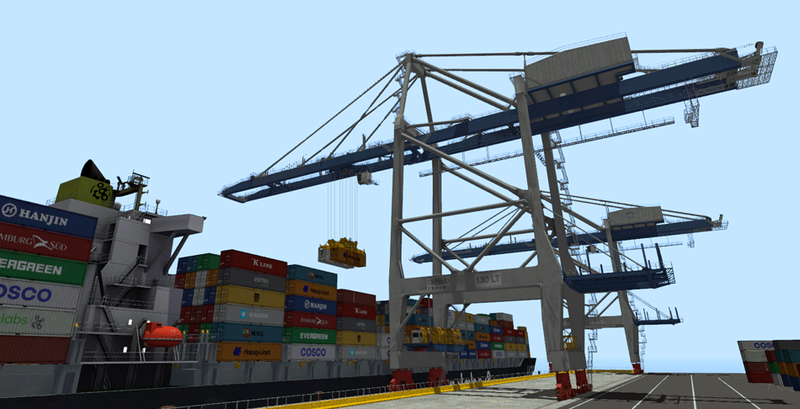 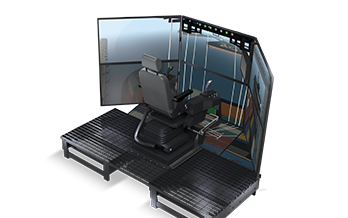 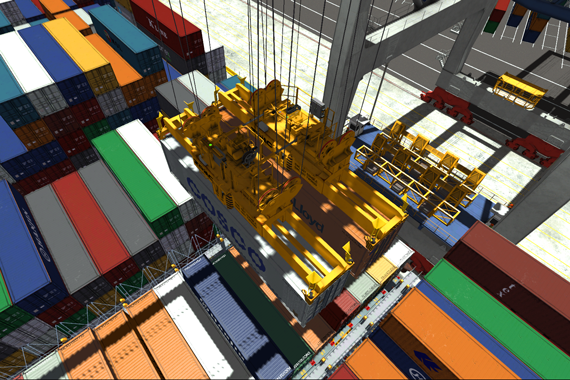 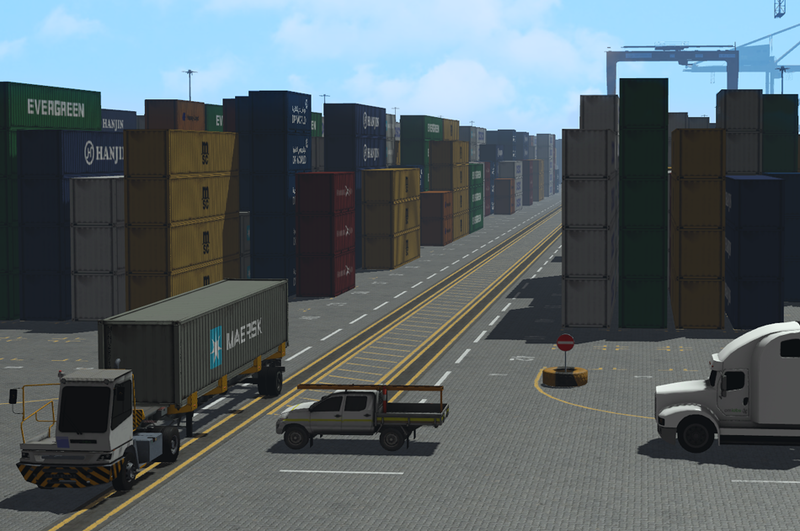 Training both new and experienced operators on the competencies required for loading and unloading the world’s largest container ships, CM Labs’ innovative megamax STS crane simulator training provides valuable seat time in a virtual megamax crane. 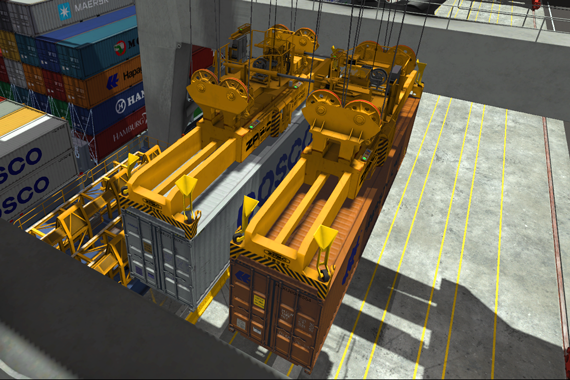 Reaching as far as 24 container rows deep, the simulation includes features and the environmental challenges required to learn how to work in deep container pockets. 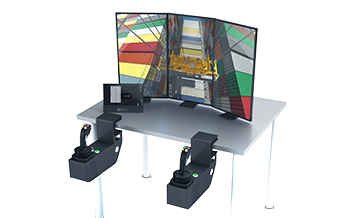 Using camera aides to expand the field of view and dual spreaders to optimize productivity, the megamax STS trains operators to keep up with overall port performance requirements. 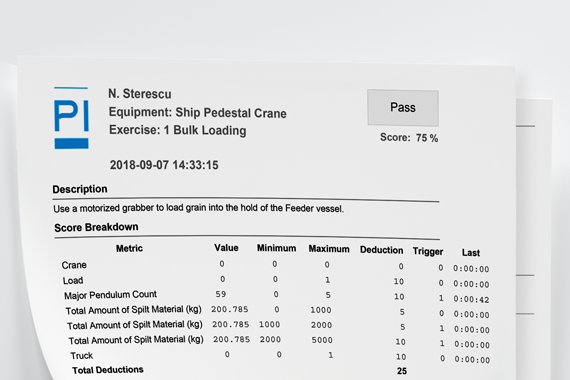 Smart slowdown and sill-beam protection systems.